Yesterday, Microsoft has announced the availability of a new SharePoint CSOM package version for Office 365. You can find the latest CSOM package for the cloud from the NuGet gallery with an id of ‘Microsoft.SharePointOnline.CSOM’. Here are the key changes in the released assemblies. Main changes are related on level up with the on-premises CSOM which has been gradually updated during previous CUs. 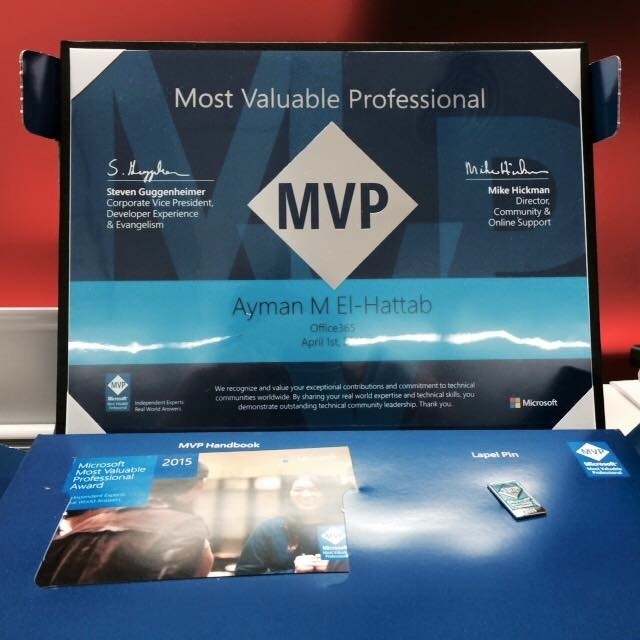 Office 365 MVP for another Year! I’m super excited to announce that my MVP status has been renewed for another year making me one of the few worldwide to maintain the status for 6 years in a row (4 for SharePoint Server & 2 for Office 365). The amazing thing about the MVP program, is it’s an award, not a credential. It’s always great being associated with such a smart and influential community, it’s something that I appreciate a great deal. Last but not least, I would like to thank my family, my Office 365 community friends, the amazing MEA MVP Community, my blog followers, all those who attended my sessions and all those who helped me progress in my career. Without you guys, I would have never been able to achieve anything.